The Independent Examiner of our Neighbourhood Plan has asked for a meeting with both Parish and District Councils. 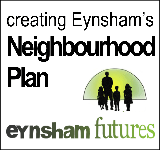 Eynsham Neighbourhood Plan has been put out for formal consultation. Eynsham Parish Council is being asked to approve the updated version of the Neighbourhood Plan. 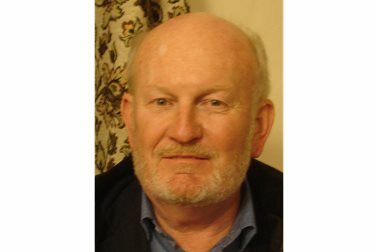 Parish & District Cllr Peter Emery has withdrawn his support from 'Eynsham Garden Village' and WODC's emerging local plan. A huge thank-you to everyone who helped to make the plan a reality. 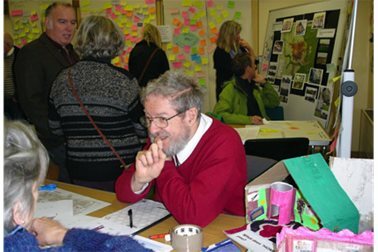 Our Neighbourhood Plan consultation ended on Jan 31st. We can now publish a report with your comments and our replies. 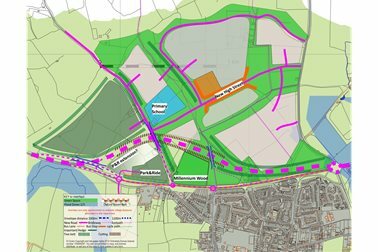 Our FAQ may help you understand the complex and fast-changing environment in which our Neighbourhood Plan is being prepared. Just as one Garden Village gets Government blessing, another is revealed. 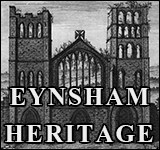 Central government support for a local Garden Village should be very positive for Eynsham. Here are the maps we displayed at the Neighbourhood Plan Day on November 19th. We have so many comments that we cannot reply to them all. Instead, here are answers to the most frequently asked questions. A response from Giles Hughes of West Oxfordshire District Council on Oxford City's unmet housing need. 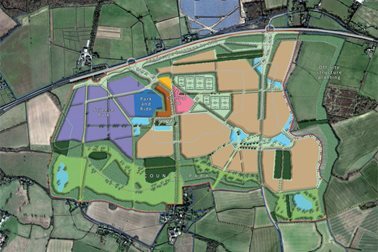 WODC has published its "Expression of Interest" in a 2200 home Garden Village just north of the A40 at Eynsham. 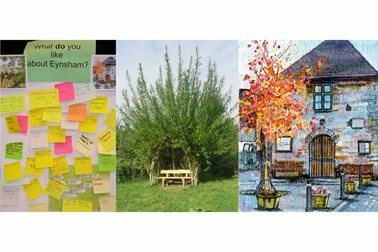 Eynsham’s Neighbourhood Plan is now ready for your comments - please tell us what you think! 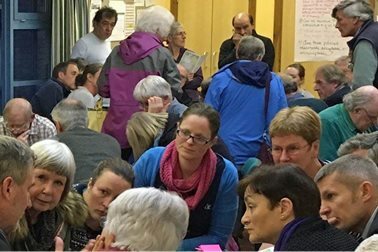 If decibel levels are a sound measure of success, then our public meeting on 16 April was a resounding one! 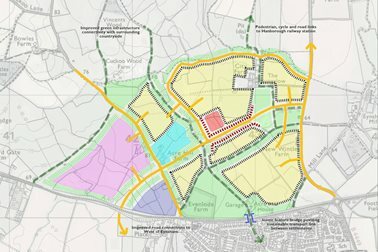 West Oxfordshire District Council’s long-delayed replacement for its existing local plan has suffered a further delay. 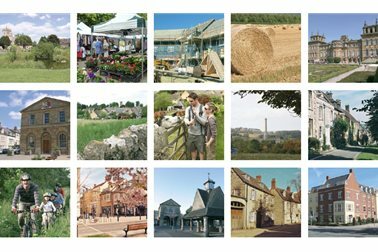 The Neighbourhood Plan Questionnaire is still online. Don’t miss the chance to have your say! 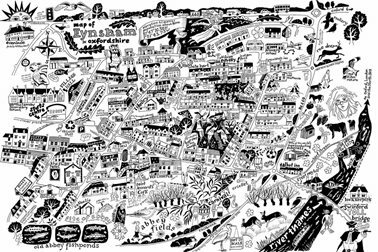 Eynsham Neighbourhood Plan 2031 in progress - the Steering Group reports. You can print the pdf if you prefer. 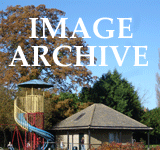 A report from Eynsham Neighbourhood Planning group on Community Day 2015. We had a great time! With the whole Parish now officially designated as a Neighbourhood Area, Posy Parrinder looks ahead. 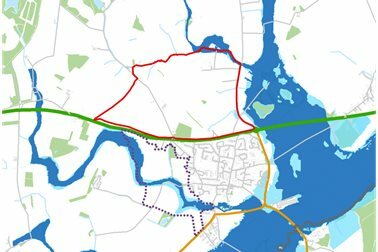 The Parish Council has applied to West Oxfordshire to have the whole Parish of Eynsham designated as a Neighbourhood Area. 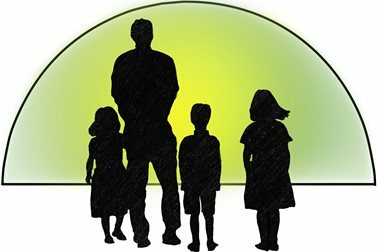 The Parish Council invites you to get involved in creating a Neighbourhood Plan. 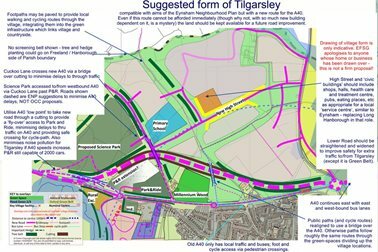 The consultation is open until 30 September. Ann Skippers, Independent Examiner of Eynsham Neighbourhood Plan requested that a meeting be held in public to assist her understanding of the intent of Eynsham Neighbourhood Plan and to establish and agree a way forward with Eynsham Parish Council and West Oxfordshire District Council for the examination of the Neighbourhood Plan. 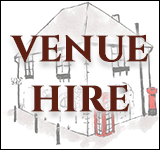 The meeting was held on Monday 4 December 2017 from 14:00-17:00 in the Bartholomew Room, The Square, Eynsham, Oxfordshire, OX29 4HW, to discuss the items on the publicised Meeting Agenda.